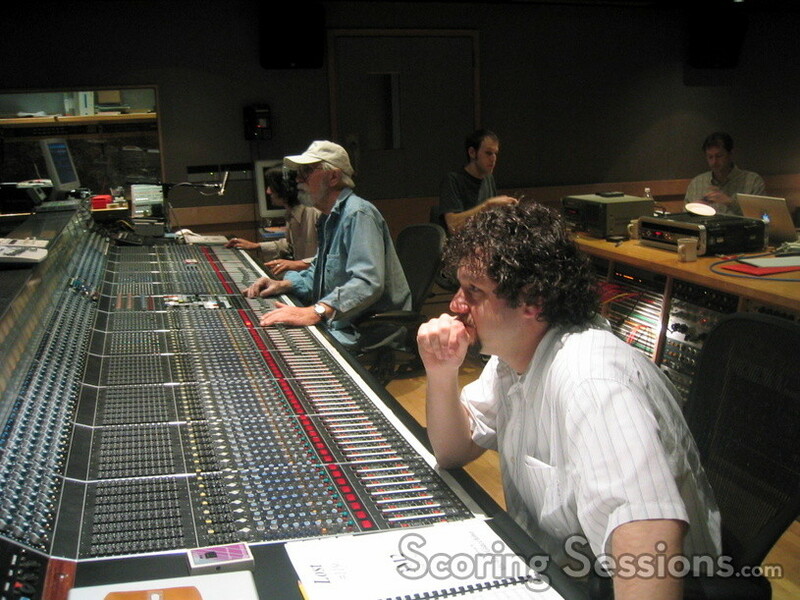 Today, at the O’Henry scoring stage in Burbank, composer Michael Giacchino had a double-session for two of television’s biggest shows: "Lost" and "Alias". 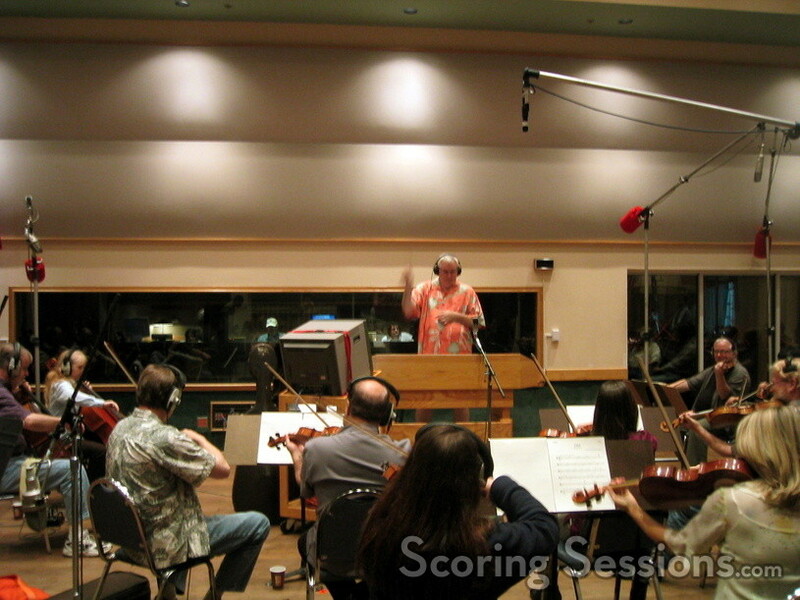 His music for "Lost" used a 33-piece orchestra, conducted by Tim Simonec. The episode, which will air on May 4, will be the first one airing after a three week hiatus which follows a dramatic episode in which a lead character was killed off. The cues (which for internal purposes contained amusing pun-like names) contained a variety of musical styles, all within the palette that Giacchino established at the start of the season. There are plenty of tense musical moments, with dissonant chords, tense string clusters, jungle and Middle-Eastern percussion, and of course, the trademarked trombone falloffs. 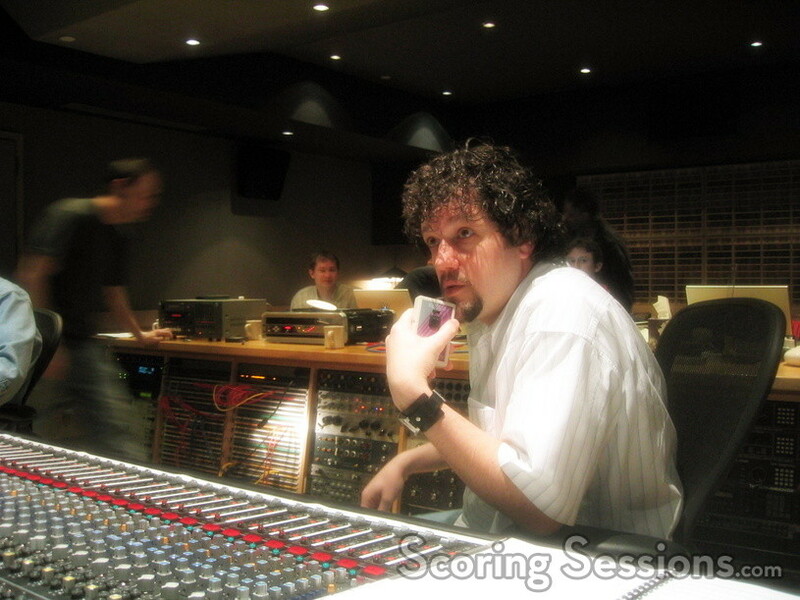 Giacchino’s team was fully professional and on the ball. Scoring mixer Dan Wallin was helming the board, score assistant/orchestrator Chad Seiter was working the Digital Performer rig, and music editors Steve Davis and Mike Andreas kept things moving quickly. "Alias" music editor Alex Levy was on hand as well, just in case. With approximately 21 minutes of score for the episode, split up over 16 cues, they tended to be short but sweet. In fact, the first hour of the three-hour session was done at a lightning fast pace, with the orchestra exuding so much professionalism that they finished half of the cues! In the end, contractors Reggie Wilson and his assistant contractor Connie Boylin were able to let the orchestra go 40 minutes early. There are only four episodes left of "Lost", with the two-hour season finale airing on May 25, along with the "Alias" season finale.